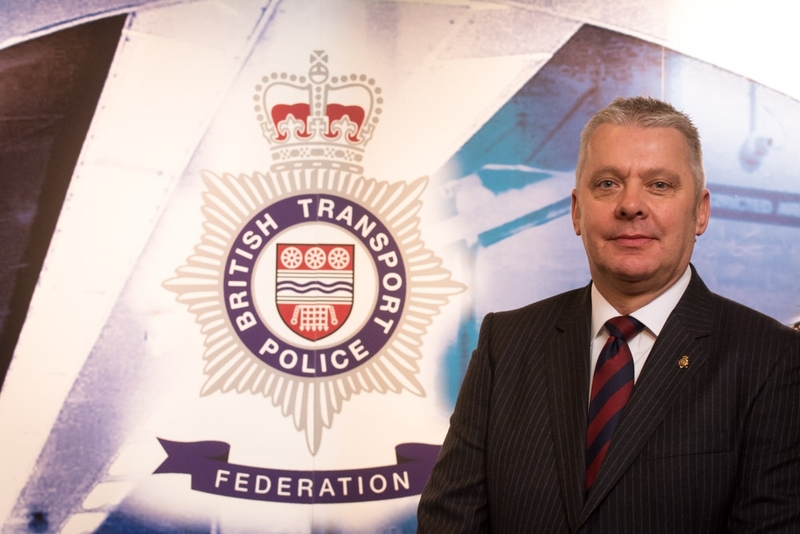 Colleagues, here is your monthly blog for September, with updates on what the BTP Federation National Executive is involved with on your behalf. Yet again it has been a very busy month and this post will hopefully give you an insight into what exactly we have been doing. Officers in BTP have faced further adversity following yet another terrorist attack to our infrastructure. I hope that you can take some comfort from the positive remarks from a variety of sources about the action of BTP officers and the rest of the emergency services. Again, you should be very proud of the excellent work that you all put in to keep passengers and staff safe on our railways. Last month you may remember that I reported on the BTP Federation meeting with the Scottish Police Federation (SPF). We have now had our second meeting where we have shared various documents relating to pay, conditions and entitlements including redundancy and resettlement policies. This forum provides us with an opportunity to explain certain aspects of your T&Cs to the SPF but also for them to make comparisons with their own T&C's, pay and pensions. We will now wait a response once a comparison has been made. In conjunction with SPF we intend to obtain independent advice from a pension advisor unconnected to the current advisors, RPMI. On pensions, the Scottish Public Pensions Agency has obtained advice from the Governments Actuary's Department and on 21 August there was meeting between various departments including BTPA. The outcome of the meeting was a potential proposal regarding pensions, which for clarity has not been approved by anyone including the Trustees. The proposal however is to create a new section of the RPS for those that transfer over. The benefit structure would replicate the BTP section and would be a compulsory transfer, but the section will be closed to new entrants. Clearly, we have numerous queries about this proposal and we asked many questions of RPMI at a recent pensions meeting. These have not been answered yet but we are expecting a reply. One particular concern is the fact the status of BTP Scotland officers transferring over has yet not been resolved. Nonetheless hypothetically if officers do transfer over as Crown officers, can they be members of an occupational pension scheme? Furthermore, being a closed scheme who will be responsible for meeting the liabilities; liabilities that will exist until the last officer and dependents in the scheme passes away? These are just a couple of questions that are as yet unanswered. Present at our most recent meeting was DCC Hanstock who is attending the next Joint Programme Board (JPB) meeting on 26th September in Scotland so hopefully he will seek some clarity around these concerns. There has been another meeting with the Scottish Government civil servants since the bill was given royal assent in August of this year. They have informed us that Police Scotland are to engage fully with the JPB to map out fully the merger process and there is a suggestion that Police Scotland personnel may shadow their BTP equivalent in Scotland during the six months prior to the merger. There is also a new Mobilisation, Transition, Transformation Programme (MTTP) board who will now look at the work streams. Inevitably there is still a lot of talk around employment status, pensions and grandfather rights. There are many different facets of the proposed integration of BTP Scotland into Police Scotland and to ensure that there is no detriment to the rank and file officers, we the BTPF are scrutinising every item relating to pay, pensions and terms and conditions including redundancies. We are proactively exploring all avenues on your behalf. We expect further information on the status debate will be available after the next JPB meeting. This month we have also met with Derek Penman, Chief Inspector of Her Majesty's Inspectorate of Constabulary in Scotland (HMICS) regarding their recent joint inspection of British Transport Police with Her Majesty's Inspectorate of Constabulary in England and Wales (HMIC). Although we have not had an opportunity to scrutinise the report, we had a very positive meeting where Mr Penman described how he has advised the Joint Program Boards that they need to be accountable, transparent and able to share information with those affected. Mr Penman has given personal assurances that if the Joint Program boards do not deliver on the Governments promises - especially the triple lock guarantee - HRMCS will be the first to address them with the JPB and the Scottish Government if needed. The report of the inspection is now with the Department for Transport and we await publication. Once we have received a copy, we will share our comments. You may be aware that ACC Higgins from Police Scotland visited and you may have had the opportunity to meet with him. Reports received from some attendees have stated this was a positive step and that Mr Higgins gave some very reassuring messages. Divisional Commander John McBride has kindly provided a summary of some of the questions asked and the answers provided. If you haven't read them then please visit the BTP intranet. We appreciate there are only 18 months prior to any proposed transfer but there is still a long road to travel before we will see any concrete decisions around pay, pensions and T&C'S. We are continuing to ask questions and gather information on your behalf and we will share information once we are in possession of firm details. Well, where do I start with the DRD or now DRD Reset? Credit where credit is due, finally the Force have listened to your concerns regarding the current rosters and they have accepted that rest day cancellations and last-minute changes have been (and still are) continuing in large numbers. This was never the intention of the DRD but for a number of reasons the new rosters have not delivered the expected outcomes. As there did not appear to be any light at the end of the very long tunnel, the Force have now decided that all Divisional Commanders should review operational rosters and consider whether greater resilience can be provided through alternative rosters. At the last meeting the DCC gave some clear direction and guiding principles on how each Division should look at any new proposals. All Divisions should still use the data gathered by the DRD team to ensure that resources are in the right place at the right time to meet the demand. There is a requirement to align supervisors with any proposed new rosters ensuring officers have access to supervision no matter what shift is being covered where possible. Finally, all Divisions must end up with a list of locations and compare what there is now and what benefits there are to any alternatives. What does this mean to you? Firstly there are no new proposals as yet that have been supplied to the Federation other than potential TFL rosters, which I will come onto later. When they become available the regulations state that there must be a minimum of 30 days consultation and more importantly 30 days notification. I know there is a small minority of officers suggesting that the Force cannot change rosters within 12 months of implementing a new roster so you cannot be moved until April 18. This is technically correct but if the current rosters are as bad as reported by many it would be our advice that you accept new proposals. Clearly any new proposals will be consulted over and we and your local Federation Reps will share any rosters that are supplied. That said we will be seeking further clarity as to when the Force intend to implement any new proposals. Clearly with January fast approaching, this may potentially be the best time to implement a new roster. At present though it's business as usual. Moving now on to the TFL roster. Mark Bishop from the Federation is engaging with B Division personnel regarding rosters and once a roster is produced we will share it with B Division officers. However, I am being informed that there is an instruction out regarding the continuation of a 10% restriction on annual leave for next year for TFL/B Division officers, plus they are refusing to accept any further applications for TOIL or RDIL until such time that rosters are resolved. This is wholly unacceptable and unreasonable. We will be challenging this decision through the DRD meetings with the DCC. Those making the decisions don't appear to have learnt anything from previous mistakes and the indications are that history will be repeating itself. A further suggestion is that where there is an identified Red Day i.e. Notting Hill Carnival/NYE there will be a restriction on anyone applying for annual leave for the week leading up to the event. Again, this is wholly unacceptable and Police Regulations do not allow for such, so again we will be challenging this decision through the appropriate command. As most of you are aware the Government have announced a lift on the public sector pay cap. This derisory offer of 1% rise and 1% annual bonus suggests that not all independent pay bodies are equal. The Police Remuneration Review Body recommended that officers should receive a 2% rise in full - all of it pensionable. Clearly this was ignored but how ironic it is that the Home Secretary Amber Rudd sat at the PFEW conference and defended the Government's 11% pay rise for MP's stating it has been determined by an independent body and had nothing to do with politicians; however the independent body that reviews police pay was simply ignored. Seemingly it's ok to accept the independent body reviewing MP's salary but not those reviewing police officers. Unbelievable. Inflation is high and a 1% pay rise and a 1% bonus for the year is not sufficient to bring officers pay back in line with the private sector and the cost of living. We are now waiting to negotiate with the Force the same pay deal. BTP do have pay parity with our Home Office forces so this should be a formality but we await confirmation of such. We have also had a meeting this month with the Chief Executive of BTPA, Charlotte Vitty. It is reassuring that her visits to police stations have been welcomed and you have all been providing constructive feedback. We obvious have discussed Scotland, DRD and the Treasurer post with her. Looking ahead and we will be representing you at the National Police Memorial Day service in Cardiff. We have further meetings with the Scottish Government Civil Servants to look at terms and conditions, pay and pensions but by which time we also hope to have had sight of the HMRCS Report on the integration of BTP Scotland. We also have a Management Board meeting where two representatives from your Area Committees meet and discuss issues affecting you. Next month we will also attend the National Negotiating Meeting with the DCC and the JCC meeting with the Chief Constable. Finally, last month I updated you regarding the nominations for the Federation Awards of Excellence 2018 and how we will be seeking nominations from our members. As you all know this year has been an unprecedented year and we have experienced some seriously devastating events, which have resulted in numerous heroic acts of bravery. At our forthcoming awards night, we plan to recognise three major incidents that BTP have been involved with, specifically the Croydon tram derailment, the Manchester Arena bombing and London Bridge Terrorist attack. There will be an invitation extended for three people to represent officers involved in these incidents to receive awards on behalf of their colleagues. Alongside those awards we will award a further four that recognise police work that doesn't necessarily make the news headlines, but which is just as valuable to our public. Furthermore, we would like YOU to nominate the member/s you think should receive an award. A nomination form is available on our website. Please complete it with as much detail as possible and return it to info@btpfed.co.uk by midday on Friday 20 October. All eligible nominations will be considered by a panel who will determine the final four awards. It only leaves me to say thank you again to all for your continued hard work, self-motivation and professionalism, keeping everyone safe whilst on the railway.